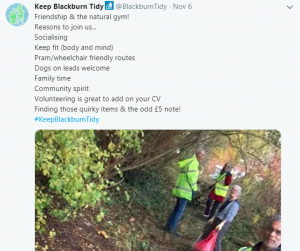 Blackburn has a hidden army of litter pickers who are committed to making a difference to their local area. 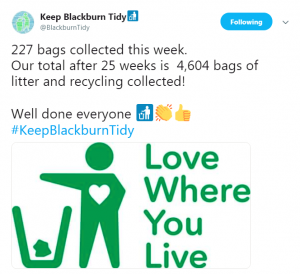 Recent updates over on Twitter have highlighted how much litter has been collected. If you live in Blackburn and you would like to get involved click here to apply for your litter picking kit.